« BEAD SHOW and SALE! Join us for an evening of World Cup excitement! 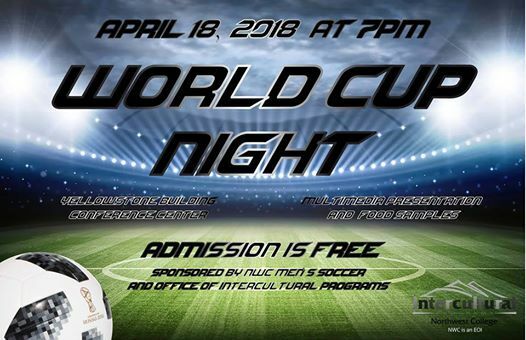 Learn about the upcoming 2018 FIFA World Cup, which will be held in Russia this summer, from the NWC Men’s Soccer team. The night will feature World Cup highlight videos, a mock bracket competition, and food samples from around the world. International student athletes will also describe the role of soccer in their cultures and the enthusiasm that people in countries such as Spain, Cameroon, Uruguay, and more have for the World Cup. Admission is free.